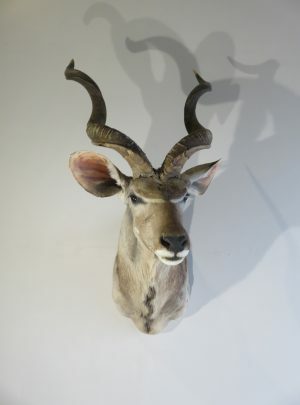 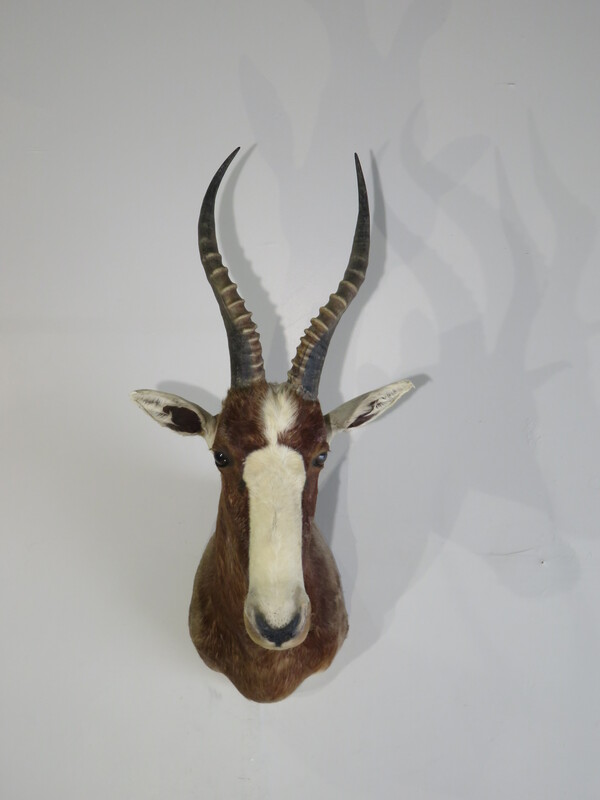 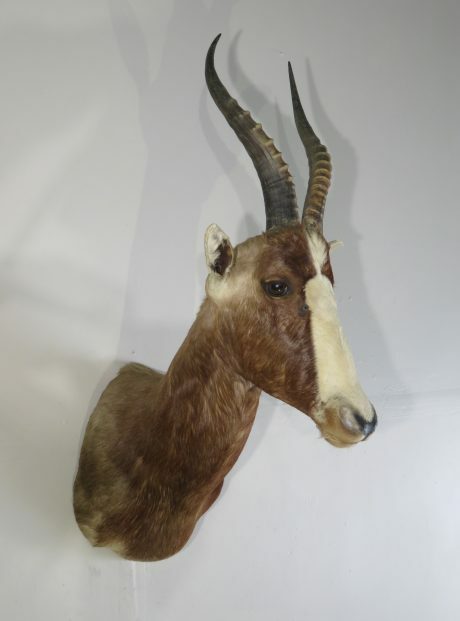 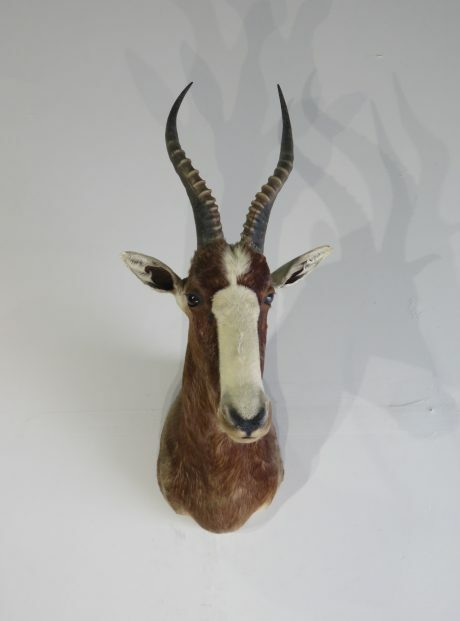 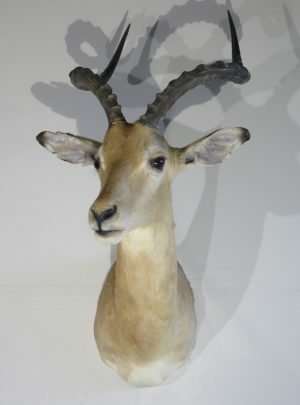 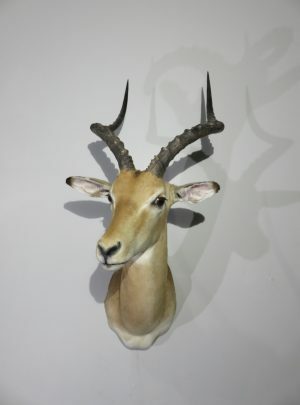 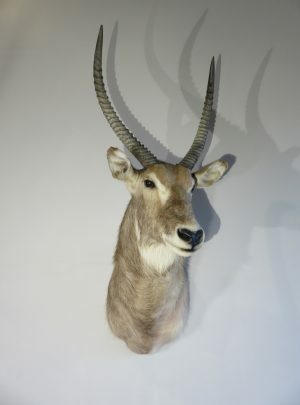 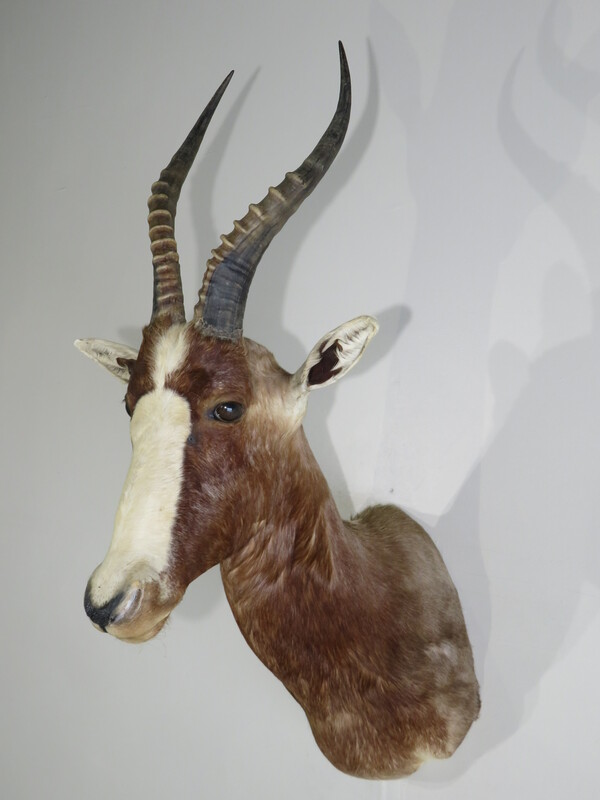 Here is a great example of a South African Blesbok (or Blesbuck). 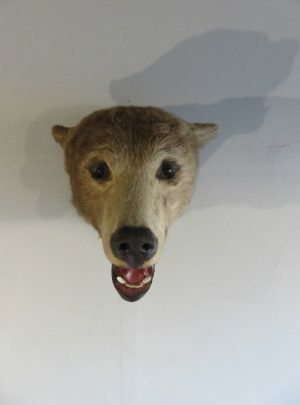 This mount features the head up and facing forward-slightly left into the room. Great coloring wich features the cream/white blaze on the face complimenting the reddish-brown cape and back. 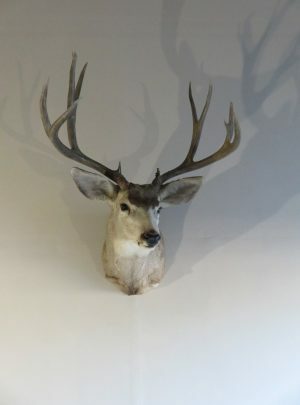 This buck has great horns that measure 14 5/8″ (right horn) and 15 1/8″. 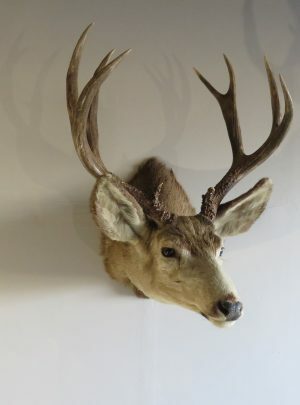 Base circumference is 5 5/8″ each side. 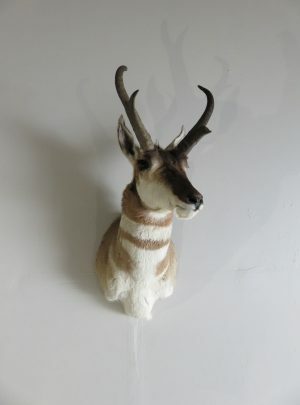 Rough score is 41 0/8″ which qualifies it as a Bronze medal class trophy by SCI (Safari Club International). 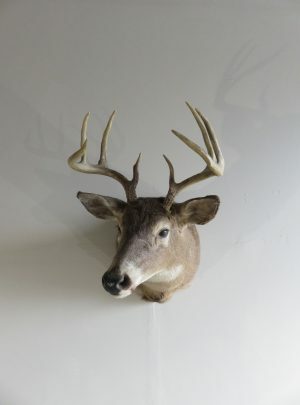 Overall mount dimensions are 21″ deep (from wall to nose) x 34″ high x 15″ wide. 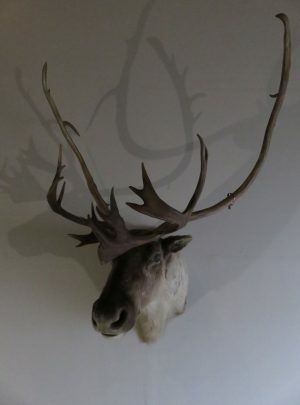 Mount hangs from a single well anchored screw. 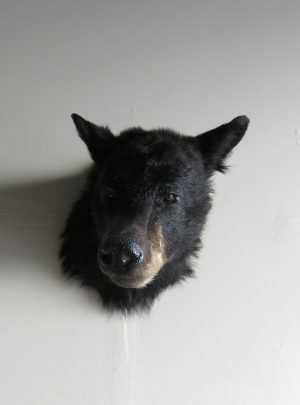 Would make a great addition and conversation piece in the home, lodge or business. 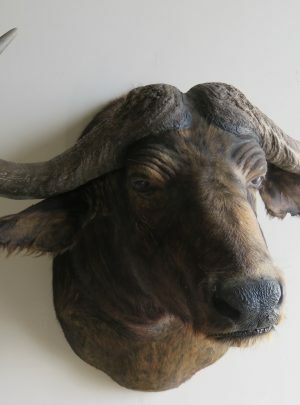 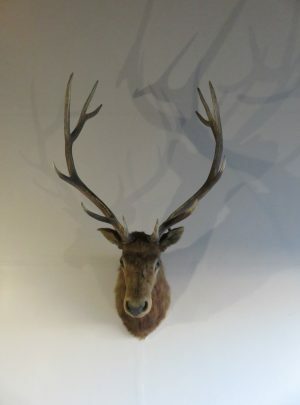 Add to any exotic game collection or as a feature piece for the room’s decor.